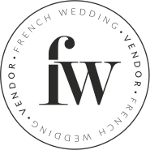 No need to be blue with hump day, as we are livening things up and introducing you to wedding DJ in France, the boutique DJ collective, Vintage Vinyl Events. 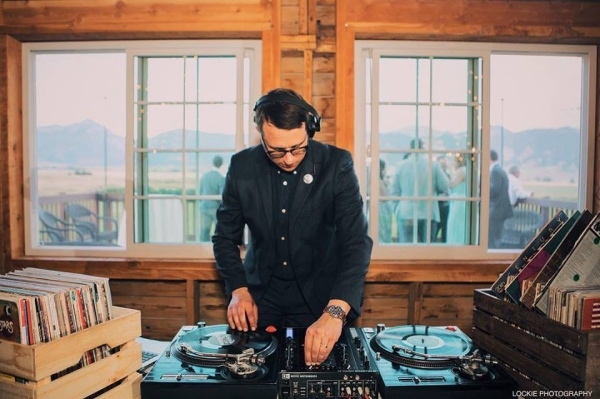 At Vintage Vinyl Events, they lay down soundtracks for unique weddings and special events, from all-vinyl DJ sets to event-specific mixes. 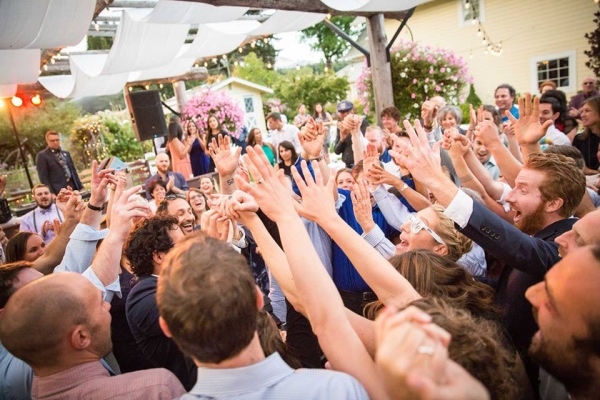 They have a simple mission to provide a curated and collaborative musical experience that goes above and beyond the typical “Wedding DJ” model. 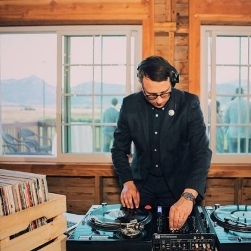 Today we meet founder of Vintage Vinyl Events, originally from Portland and now living in Annecy, Josh Spacek. How did you become involved in wedding entertainment? My first wedding was 7 years ago when a friend asked me to DJ his wedding. It didn’t take much convincing, I said yes immediately and started planning. 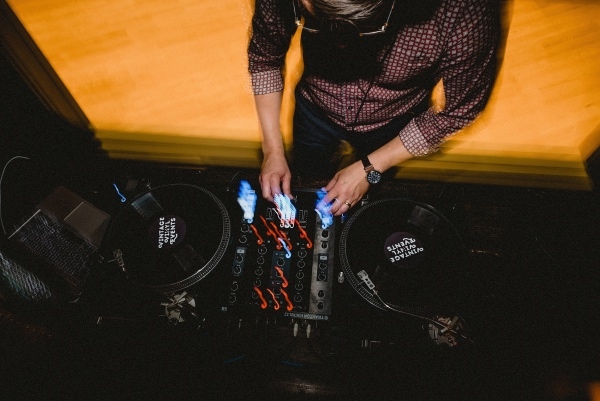 I was primarily spinning old-school soul records at the time, so that was most of my set. I threw in Prince, Michael Jackson and some “Love Below” Outkast towards the end. Everyone had an amazing time. I got the bug, weddings are really fun. What skills do you think that it takes to be a fabulous wedding entertainer? The biggest thing is taking the time to get to know and understand the couple you’re working with. When you have a room full of friends and family celebrating there are going to be songs that are important to play. 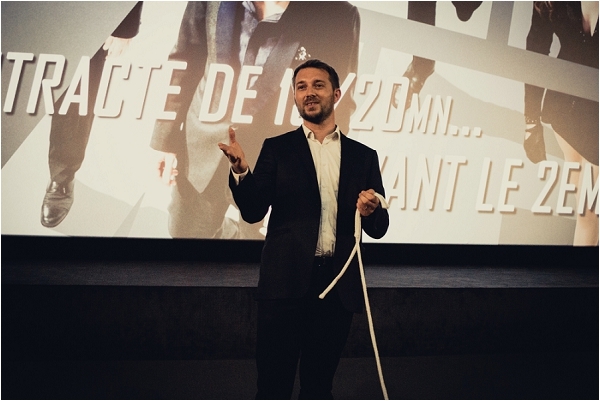 If you don’t understand your audience, you can’t be a great entertainer. Couples that I work with want music that is beyond what the typical “Top 40” Wedding DJ offers and I work hard to deliver that. Beyond a good relationship with your clients, you need to be professional, fun, flexible, organized and always able to pull a few tricks out of your hat when necessary. What is the style of your normal bride and what services do you provide? All the brides I’ve worked with have one thing in common: Tradition is not the guide, but wanting to create a uniquely modern wedding full of personal details is the guide. I come in with musical ideas to help tie some of those concepts together. 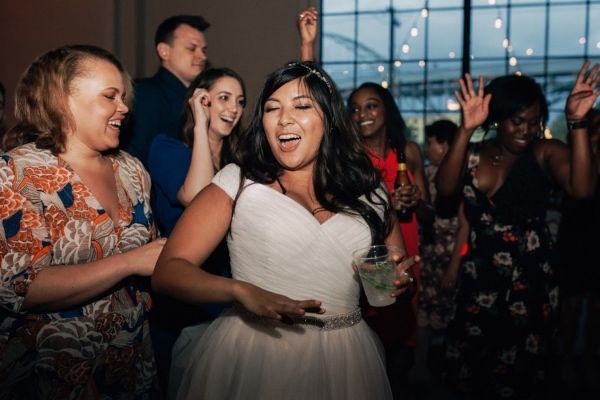 For example: One of the most fun wedding couples I worked with had a theme of timeless classics, 80’s and Latin dance music. They ended their ceremony with Jackie Wilson’s classic, “(You’re Love Keeps Lifting Me) Higher and Higher”. We then transitioned to cocktail hour full of funky latin rhythms (the brides family was from Bolivia). When they finally made their grand entrance before dinner, I played the Ghostbusters version of “Higher and Higher” (the amazingly 80’s Howard Hunstsberry version). 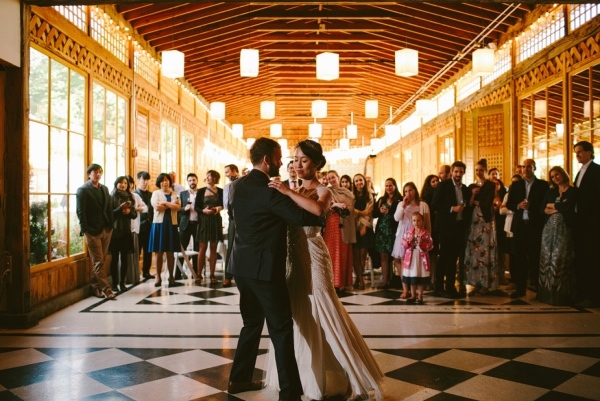 They danced their way into the main ballroom and everyone was singing and clapping along. It was exactly how they had envisioned it. It’s great fun adapting to everyone’s unique take on what their wedding means to them. 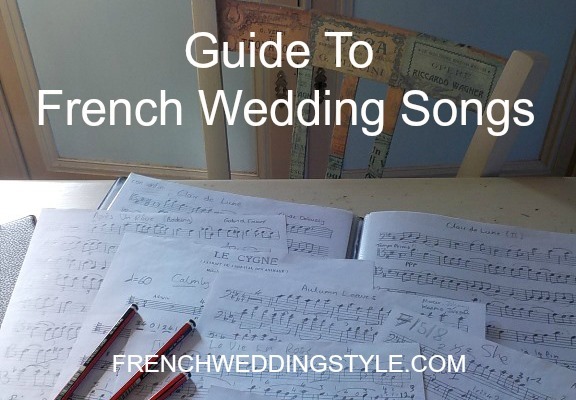 What is your favourite part of the entertainment process for a couple getting married in France? I’m just getting started in France so I don’t think it would be fair to name a favorite, though I do love being introduced to all the spectacular French venues! The moment when you look out on the dance floor and the bride and groom are dancing in each others arms – beaming. 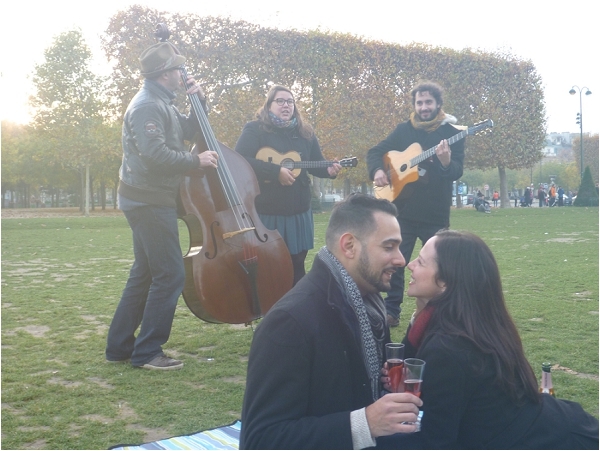 A song they chose is playing and they are completely swept away in each other and in the moment. Makes me smile like an idiot every time. What 5 things are little know facts about you? I was once a studio photographer. I write and produce music for independent films and advertising. Until moving to France I have always lived in Portland, OR. A good whiskey is my weakness. I have a beautiful wife and daughter (more of a known fact I suppose). View more of Vintage Vinyl Events work here and email Josh to find about availability and prices for your wedding in France.